The Assault Hand Paddle by Backwater Paddle Company. Change is always inevitable! What we really hope for, is that the change is for the better! 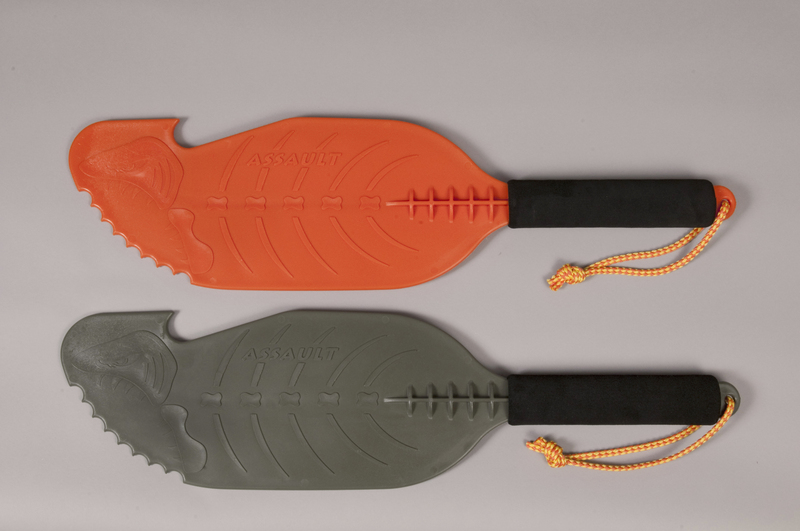 The Assault Hand Paddle reflects the latest changes Backwater Paddle Company is making to their legendary kayak fishing hand paddle collection. 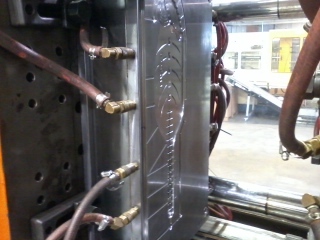 The latest designed BPC hand paddles will be made from plastic. 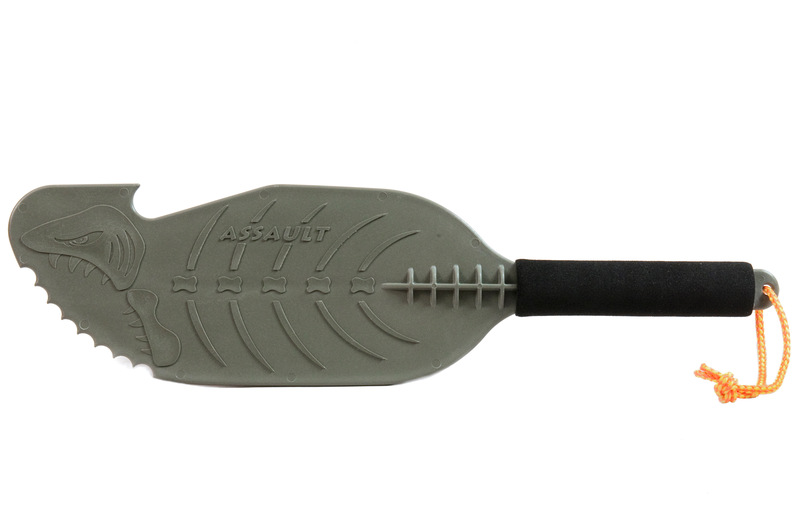 The Assault will replace the original, hand made, wooden Predator Kayak Fishing Hand Paddles. The Predator lead the kayak fishing hand paddle evolution. With the explosion of water sports, particularly kayak angling, the boats have grown larger to accommodate their environments. 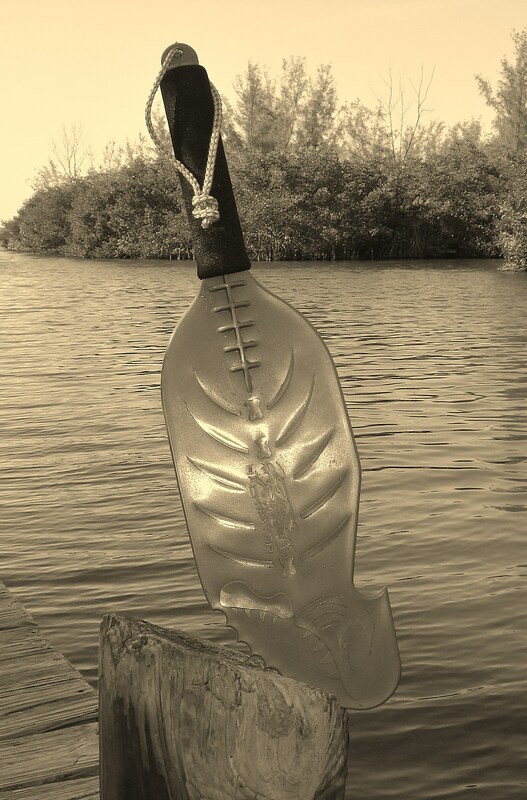 Larger boats have made the shorter Predator paddle almost obsolete. Below is the physical differences between the Assault and Piranha Hand Paddles. 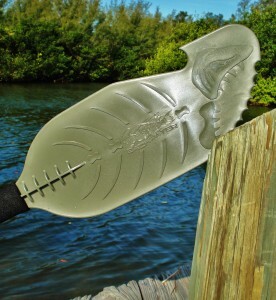 The plastic Assault Hand Paddle will be 2″ longer and 1/2″ wider than the wooden Piranha. The Assault Hand Paddles will be available Spring 2012. 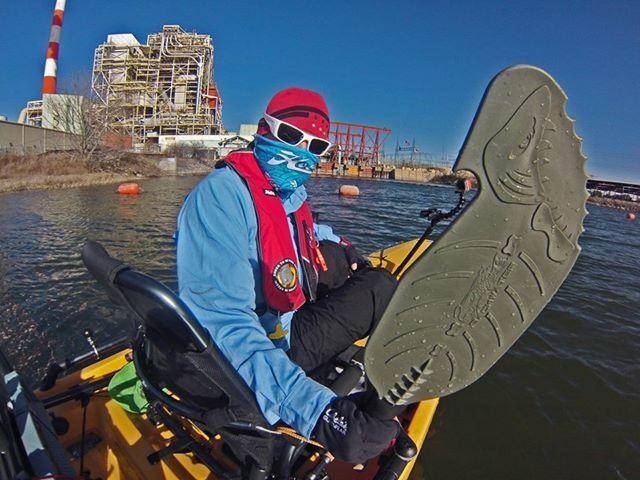 This entry was posted in Backwater Paddle Products, Marketing My Company and tagged Assault Hand Paddle, Backwater Paddle Company, kayak fishing, kayak fishing hand paddles, paddle sports on December 19, 2011 by Paddleman. Backwater Paddle Company has stepped off the front porch and is now running with the big dogs! After a trip out west to Salt Lake City, Utah August 3rd thru the 7th, this wonderful destination provided to be a pivot point of evolution and continued growth for Backwater Paddles. We can see how and why Brigham Young brought his Mormon disciples to this area. It is truly a place for the avid outdoorsman!! The 2011 Outdoor Retail Summer Show is the largest and most significant trade show for any outdoor sporting company to be involved with. This show is designed for the sports market manufacturer/exhibitor to meet up with prospective buyers and make deals. As this was Backwater Paddle Company’s first venture into this massive show, we did not know what quite to expect. The size of the event is overwhelming. You feel like a kid in a candy store as you walk through all the displays. It is sensory overload. Everyone has designed their booth for the maximum impact, both visually and physically. It blows your mind as to how much money is spent by these large sporting goods manufacturers to grab your attention. You think of any soft or hard goods sporting manufacturer, and they are here. Fortunately our national distributor, Outdoor Specialty Innovations, was there to provide moral support for the show. 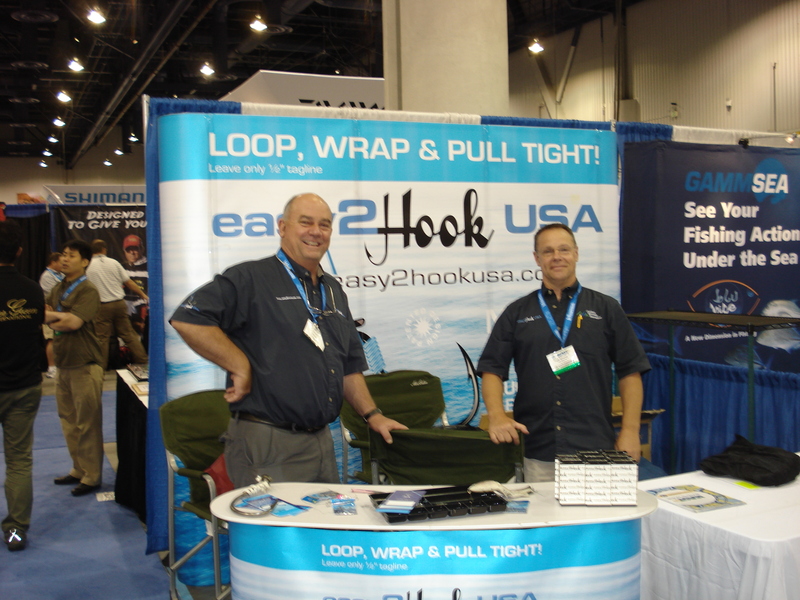 Having been to a number of ICAST Shows, OSI’s Ron and Pete, along with Kurt, Backwater Paddle Company’s vice president, provided the manpower to entertain all the potential customers of our paddles as well as the EAsy2Hook fishing products. 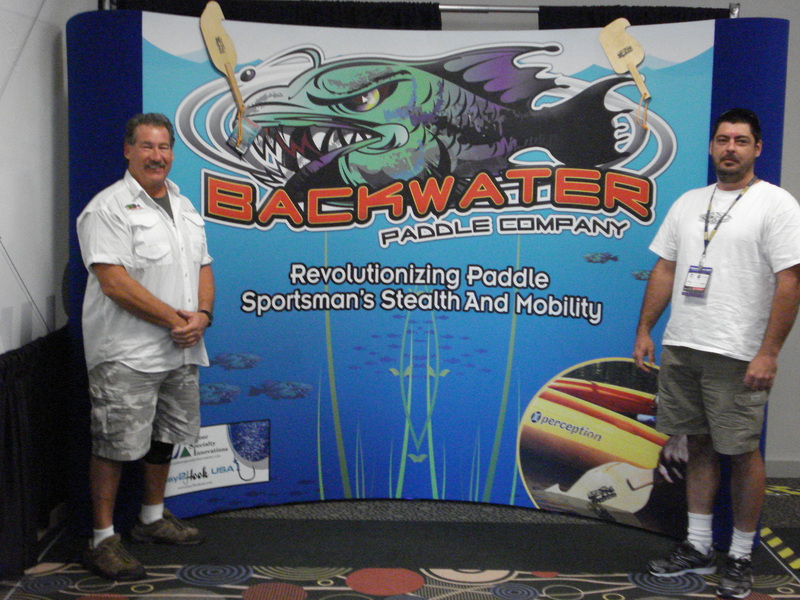 Pete and Kurt manning the Backwater Paddle Company booth. Despite all the obstacles to get to this event, it has been quite the learning experience. We have met some seasoned exhibitors and obtained some extremely useful knowledge for our future events. Mostly we have learned…having a unique product matters!! As far as displaying your product, size and being outrageous also matters. Although no orders were directly written, we networked with some of the industries leading retail buyers in the paddle sports market. We obtained a number of solid contacts and will be working with them in the next few weeks. Now that this experience is behind and we can look forward to next years OR Show with less trepidation, more imagination, and hopefully a new paddle product. Our imaginations are at work already! 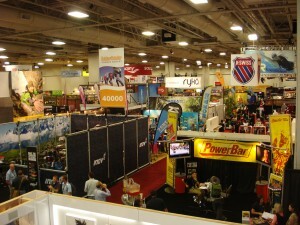 Time to get to work for the 2012 Outdoor Retail Summer Show!! Paddle on my friends!! 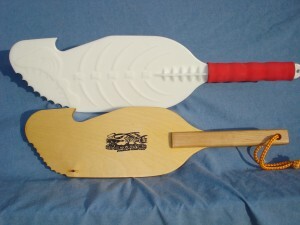 This entry was posted in Backwater Paddle Products, Marketing My Company and tagged Backwater Paddle Company, kayak fishing, kayak fishing hand paddles, Outdoor Retail Show, paddle sports on August 9, 2011 by Paddleman. 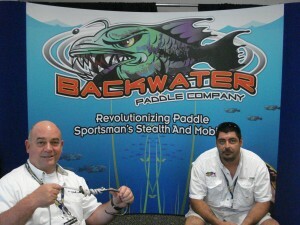 The ICAST 2011 Showin Las Vegas last week was Backwater Paddle Company’s (BPC) first venture into the fishing sports marketing arena. Our national distributor, Outdoor Specialty Innovations (OSI),invited me to attend as their guest. Ron Baskett, OSI’s main man, and his crew helped soften the sensory overload by providing a booth chair for me to observe how the game is played. I had to mention “chair” for the simple fact I spent a lot of time holding it to the floor, as I just blown my knee out earlier in the week. Being in Las Vegas and confined to a chair was not the experience I had in mind for this road trip! Mind you, my full intentions in coming to Las Vegas was for the ICAST Trade Show experience. I had to see and feel the atmosphere of an event of this magnitude. Next week Backwater Paddle Company will be sponsoring our own booth (Booth MZ-163) at the Outdoor Retailer Show (OR) in Salt Lake City, Utah. What a wake up call the trip to Las Vegas has been! So being semi-incapicitated, I was forced to slow down, watch, learn and observe the tactics being displayed to posture your product before the respective buyers. The atmosphere is electric. You cannot imagine the scope of this venue. It takes a couple of hours to saunter by and visit each booth throughout the venue. Quite frankly, I’m not sure that I even saw every booth displaying their wares? It was that massive. The dollars budgeted for the displays alone by some of these well entrenched and major sporting goods companies is mind blowing. Hundreds of thousands of dollars are being spent to provide the most attractive, ginormous and eye catching display possible. Think Eagle Claw, Daiwa, Shimano, Rapala, Zebco all laying it all out for their buyers. In this business, you do not get a second chance to make a first impression!! So coming back to Florida was a bit titillating. Now I had to face reality and the scope of the upcoming OR Trade Show. Suddenly it was not just new ideas on how to market our product, but realizing how small BPC really is! Now it becomes…how do we maximize our exposure without going bankrupt…basically, getting more bang for our buck. Again, realizing that simply stretching our 3 x 5 BPC logo banner between two stanchions is not going to cut it! 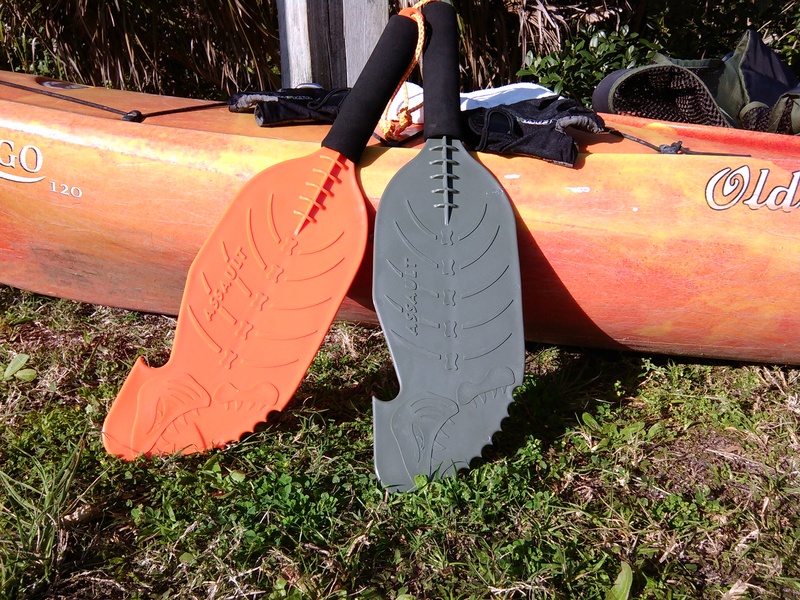 As we prepare for the upcoming Outdoor Retail Show in Salt Lake City next week, it is Backwater Paddle Company’s time to step off the porch, get down into the yard and run with the big dogs. 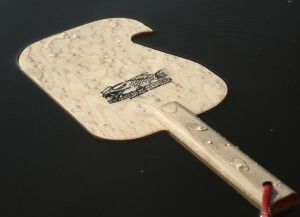 With great anticipation and some trepidation, we are hoping to make our mark in the paddle sports industry. At the ICAST Show we met, and will be networking with, some of the more experienced sporting goods manufacturers in establishing industry contacts for Backwater Paddles future growth. As we work on a time frame for the introduction of our new Piranha-X hand paddle, these new contacts will be instrumental in achieving our goals. Now I sit here blogging, patiently waiting for my $2000 pop-up display to arrive here in Florida. After observing the “minimum standard” of displays at the ICAST Show, we had to bite the bullet and not be the odd man out for the upcoming OR Show. This short time frame between the events is all we had to work with in providing a unique and eye catching display. Actually, the graphics are what we hope to be the attention grabber. This pop-up display is 8 feet tall and 10 feet wide, and collapses down into a shipping container. My main man, Terry Griffin at Colossal Signs in Cocoa Beach, tightened up the graphics for the display. So again, we wait patiently for the display to be sent from Rhode Island for our inspection and trial set up prior to sending it on to Salt Lake City. How tight is the schedule you ask…the display is supposed to arrive August 2nd and we are on the plane August 3rd. 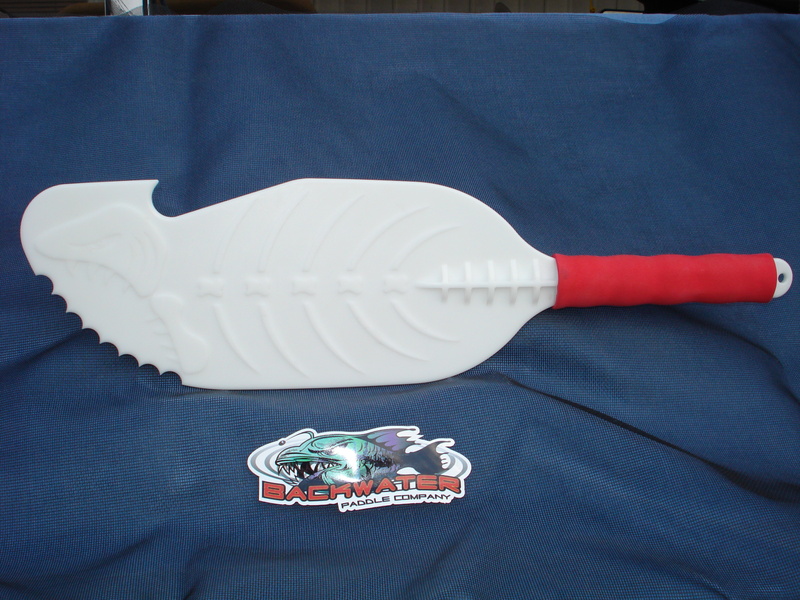 This entry was posted in Backwater Paddle Products, Marketing My Company, Uncategorized and tagged Backwater Paddle Company, ICAST 2011, kayak fishing hand paddles, Outdoor Retailer Show, paddle sports on July 26, 2011 by Paddleman.